October 25: After weeks of rehearsal, God of Carnage opened at the Muncie Civic Studio Theatre! It actually felt more like a dress rehearsal than an opening night for some reason. I thought my performance felt wobbly and uncertain. Afterwards, I deemed it a "Lumpy Rutherford" and vowed to myself to aim for a "Ward Cleaver" the next night. October 26: It was a super, busy, fun day! The radio gang knocked this month's episode of Tom Cherry's Old Time Radio Show out of the ballpark! It was our Halloween show that featured the classic "Chicken Heart" episode of Lights Out. Our soundman and soundwoman, Jerry and Judy Cole, out did themselves with the sound effects and everyone in the cast (Bob Green, Sean Heline, Linda Gilchrist, Wendy Carpenter, Missy Donahue, Jim Banta, and Rita Wessel) brought their "A" game to create a wonderful show for an enthusiastic audience! Already looking forward to recreating that magic for November's show! As for Saturday night's performance of God of Carnage, we nailed it! It was a great show and a vast improvement over Friday night methinks. Hopefully we'll continue to grow as the run continues! October 27: It was Sunday and I rested. October 28: I auditioned for a radio version of Miracle on 34th Street that Indiana Public Radio will be producing in December. I thought it went rather well! Of course, I won't know that for a fact until the cast list is posted. And that brings us up to date! I had a fun time Saturday in New Castle as we presented a special episode of Tom Cherry's Old Time Radio at the New Castle-Henry County Public Library. The radio gang performed before a small audience (Our typical crowd, of course!) in a wonderful auditorium. I was quite impressed by the facility. New Castle and Henry County are very lucky to have such a library in their midst! Special thanks to Pam Adkins for inviting us to the library and for being such a gracious host! Coming Soon to a Theatre (or Library) Near You! It's been a busy few weeks for the fat cartoonist with play rehearsal (Hey, I got a part in a play! More info on that in a moment) and working some overtime (Extra money! Yay!) and some other stuff, but I wanted to take a moment to share some upcoming events for yours truly. 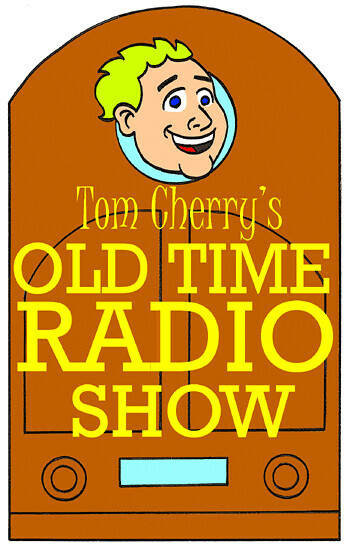 First off, Tom Cherry's Old Time Radio Show is hitting the road this Saturday (10/19) to perform at the New Castle-Henry County Public Library! We'll be featuring some classic comedy bits from The Red Skelton Show as well as our usual fun features with our usual fun folks! The show is at 2:00pm and it's free! And then next Friday (10/25), God of Carnage opens at the Muncie Civic Studio Theatre at 8:00pm! Tickets are only ten dollars! I'll be playing the guy who really hates hamsters. Come one, come all! Afterlife with Archie #1 Astro City #5 The Walking Dead #115 Purchased at Bob's Comic Castle. Total amount: $10.32 (I think) Notes- Looks like I'll be buying two books with zombies in them and I really don't like zombies that much. Is that irony? I forget. That Alanis Morissette song seems to have warped my defination of the word (And, yes, that was my lame attempt at humor! )...Zombies in an Archie comic book continues their trend of being several years behind the fad, but that's Archie Comics for you! It was a fun read though and I'll be sticking around for awhile...The Walking Dead lurches into its bimonthly mode which I'm not too happy about, but that's the way it is. Hmph!...I need to reread Astro City so I'm rewarding Afterlife with Archie as the winner of this haul!...From the police blotter (Actually from Bob's own mouth), the Comic Castle was robbed last Sunday night! Nobody got hurt, but fifty dollars were taken and the crook(s) did some minor property damage. No culprits have been caught thus far. Astro City #4 FF #11 SpongeBob Comics #24 The Powerpuff Girls #1 The Unwritten #52 The Walking Dead #114 Purchased at Bob's Comic Castle. Total amount: $21.35 Blossom was created by Craig McCracken. From Watusi the Talking Dog #29. Watusi the Talking Dog was created by Dale Martin. This past week my mailbox kept giving me envelopes filled with some amazing work! Last Friday (September 27, of course) I was happy to find the latest digest from the amazing Pam Bliss, Apples and Oranges! Collecting some stories featuring her "Those Kids!" characters, reading A&O was like touching base with some old friends. The fun continued the next day when I received an unexpected bundle of new issues of The Amazing Cynicalman from the king of the small press, Matt Feazell! Four issues containing some comic gold! And finally yesterday the latest issue of Watusi the Talking Dog arrived. Receiving a comic book created by Dale Martin is always a wonderful thing and this issue continued Dale's incredible winning streak! As much as I grumble about my life from time to time, finding these treasures in my humble mailbox proves sometimes it can be a wonderful life!